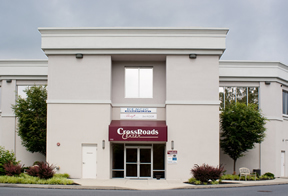 Crossroads Center Glen Mills is strategically located in the heart of Brandywine Valley’s newest shopping destinations, the perfect location for your business to thrive. Conveniently located near the heavily-traveled intersection of Routes 1 and 202, Crossroads Center Glen Mills is adjacent to the Brandywine Mills Shopping Center, home of the new, state of the art 140,000 sf Wegman’s grocery store and the planned Main Line Health Hospital. Crossroads Center Glen Mills offers both retail and office space and is ideal for restaurants, stores, businesses and medical groups. There is ample, tree-lined parking with over 200 spaces available and direct access to US 1 North and Southbound as well as Route 202 North and Southbound from Applied Bank Boulevard. 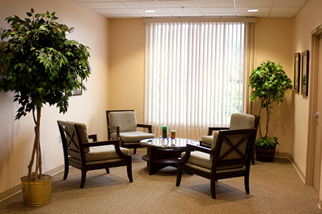 The office space includes common areas offering elevator access to the second floor, stylish lobby area, and shared, well-manicured, handicap-accessible restroom facilities. Entrance in the rear provides patient privacy and additional parking. To schedule a visit now, please click here. Crossroads Center Glen Mills is managed by Premiere Properties, located in Suite 206. 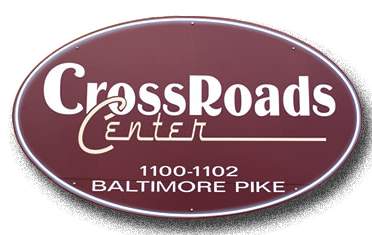 © 2015 Crossroads Center Glen Mills . All Rights Reserved.